There’s something inherently refreshing about the New Year, and new hair for that matter! Even if you don’t subscribe to the traditional “Resolutions” we often find ourselves wanting to start fresh, set new goals, and move forward differently. Here at Garnish we believe that goals are a year-long thing, but we still take time to write down a whole new set at the new year. This desire to start fresh can manifest itself in different ways—cleaning and reorganizing the whole house, starting new health practices, or even changing your whole look. We love this innate connection between the beginning of a year and setting yourself on the path to looking and feeling your best. Psychologically, hair plays a huge role in how we see ourselves. It’s why we change our hair throughout our lives, trying on different colors, cuts, and styles. It’s why it’s so painful to us when our hair doesn’t look the way we wish it did, or when it changes due to health issues, aging, or pregnancy. This connection is also why we all here at Garnish feel so passionate about hair extensions. It’s an unfortunate truth that we don’t all automatically love our hair as is. In fact, most of us would change something about it if we could, whether it’s the length, texture, or volume. As we each are on our own journey towards self-love and self-confidence, we have discovered that if there’s something you know will make you feel better about yourself when you look in the mirror—then you should go for it. Feeling good about yourself is something so powerful that it can create a positive ripple effect throughout your entire life. It contributes to your confidence, to how you communicate, and even to how you interact with others. And if your hair is your thing… the one that your eyes go to every time you look in the mirror… the one you’ve been aching to change for so long… then know that there is a solution for you. We have been blessed to be a part of transforming so many women through the art of hair extensions, and it’s because we’ve seen it work so many times that we know it’s a possibility for you, too. If you’ve been considering your 2019 goals, and feeling better about yourself, feeling more confident, and truly loving the woman in the mirror are at the top of your list, then what are you waiting for? We have a simple process for beginning your hair journey here at Garnish, and it begins with applying here. Once we receive your application, our guest service team will reach out to invite you into the studio for an in-depth consultation so we can help you find the best possible solution to create your ideal vision for your hair. We would love the opportunity to facilitate your 2019 self-love goals, and can’t wait to meet you soon. You show up for an appointment with your new stylist—you’ve been waiting weeks for this appointment and you’re READY for your hair transformation. You arrive and show the stylist your goal photos telling them how excited you are for your new color. They glance at their watch and give you a look… then you hear the dreaded words: “I don’t have time for that particular service today.” They offer you a compromise or the ability to reschedule. Obviously, you’re devastated. All of this could’ve been avoided if you could have just spent a few minutes chatting with your new stylist before scheduling. Enter: The Garnish Hair Consultation. We know. Coming in for a 30 minute appointment prior to getting your hair done isn’t the most convenient thing ever. And we get it. YOU have a crystal clear vision of what you want your hair to look like and what you need to schedule. Maybe you’ve even done this same color before and your last stylist ALWAYS took exactly 2 hours. Trust us, we hear you. Just indulge us for a few minutes and let us explain exactly why we value the consultation appointment SO MUCH. Communication is EVERYTHING. And not just for hair… in life! But let’s just focus on the hair aspect. There are a bunch of words associated with hair that we’ve learned everyone interprets a little differently. Warmth, icy, caramel… even dark and light mean something different to each person. Meeting in person allows you and your stylist to talk about your color goals, look at swatches or pictures, and really ensure you’re on the same page. You can also discuss the details of your cut, any concerns you have with the health of your hair and scalp, and your hair history. Covering all of this information during a consultation allows for your stylist to have a better understanding of your hair along with being fully prepared for your first service. Timing is important. Because we respect YOUR time along with the time of our stylists, we want to ensure your appointment is booked for the correct amount of time. The consultation allows the stylist to see the length and texture of your hair and gauge how much time they will need for a particular service. It’s important to note that each stylist may take a slightly different amount of time to perform a service just as it would take different artists different amounts of time to create similar works of art. We prefer to provide an EXACT quote for your service rather than a vague guesstimate that could potentially be completely wrong. We are big believers in “the details” and we would much rather go over everything in detail such as cost of the base service and cost of other factors such as a glaze or Olaplex treatment. We find that knowing exactly how much it will cost makes everyone feel more comfortable about their color or chemical service. Basically: We value the consultation so highly because we believe visiting the salon is about so much more than leaving with shorter or different colored hair. We believe in making your hair dreams come true, in actually caring for the health of your hair and scalp, and in making sure you feel amazing about your salon experience. If you’re ready to schedule your complimentary consultation with one of our colorists, give us a call! The world of hair color is multi-layered, blending artistry and science, and requiring exceptional attention to detail. We have chosen to delve into the most challenging aspects of hair color—color corrections and transformational colors, committing to the ongoing education and deep knowledge of the chemistry of color that these services require. Our stylist team shares a passion for being able to offer the types of color that require an eye for design and skill with painting, blending, and color balancing. We believe that being able to provide women with a hair cut, style, and color that they love can play a role in self-confidence and how they feel when they look in the mirror. Empowering women through beautification services—extensions and transformational colors—allows us to be a positive force in women’s lives through our expertise. We wanted to share with you just a few of our recent transformations. Hanna came to Christine looking for first for an updated, edgier cut before adding in some new color. Christine gave Hanna a slightly asymmetrical cut with a sassy fringe of baby bangs. From there, they scheduled Hanna’s transformational color service. Christine hand-painted Hanna’s hair to give it varying dimension before applying a custom red colormelt using Elumen color. The result was this gorgeous blend of reds with brighter pieces for spice. Heather had been seeing Niko for regular bleach outs for quite a while when she decided she was ready to return to a natural color. 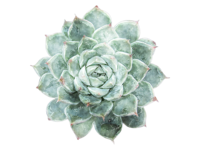 When hair has been bleached out, the color molecules are removed from the hair leaving it more porous than natural hair. This means that something needs to fill the empty spaces before the hair can hold the new color. Color corrections often require a “fill” of some kind either to balance out a particular tone or the porosity of the hair. Niko first filled Heather’s hair before applying the gorgeous neutral brown that was her goal color, blending it seamlessly with her roots. Tish had previously lightened Natalie’s hair before glazing it to a medium orange, but at this visit Natalie was looking for a little more dimension and a new haircut style. Tish reshaped Natalie’s hair into a trendy “bowl-cut” inspired pixie, before applying a custom Elumen colormelt to her previously lightened hair. Natalie left the studio with a new easier to manage style, along with a fiery cherry red to burnt orange melt. Sarah’s transformation was a 2 part process, beginning with a color correction before adding in a layer of extensions. At her color service, Candice used foilyage to adjust the brightness of Sarah’s hair along with balancing out previously ombred ends. Candice then applied a modern glaze, cooling down Sarah’s overall color. The following week Sarah returned for a row of NBR extensions. She was looking for a fuller style, with just a slight bit of added length, making NBR a perfect fit for her medium-fine hair. Sarah left the studio with an entirely new look—the hair of her dreams! Our passion for transformational services has led us to develop a unique process unlike most other salon experiences. We start all hair journeys with a thorough, in-depth consultation that allows the stylist to get to know your hair, your hair history, and to understand your goals. The stylist will walk you through the color process, the products that will help you achieve your goal look, and explain in detail the steps that will be taken to achieve your goals along with any maintenance that will be needed. We believe that taking the time up front to ensure we have a detailed hair plan in place allows us to ensure we are in sync with your goals and what’s possible with your hair. We also believe that exceptional hair color requires patience and attention to detail. 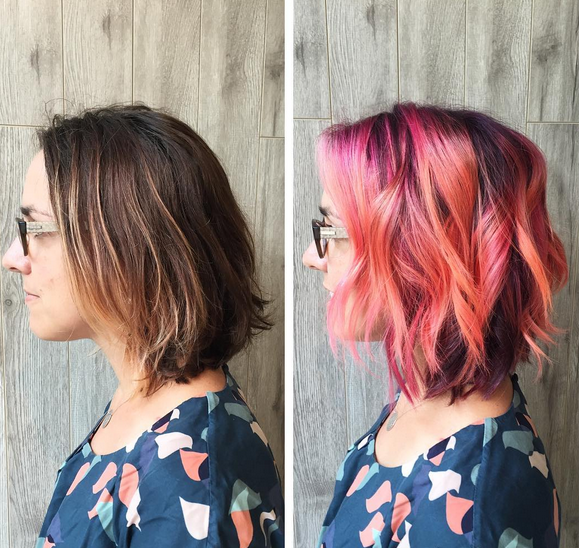 Our transformational color services can sometimes be longer than your average salon visit to ensure our stylists will never rush through any aspect of your service. We LOVE to talk about hair goals and how we can help you achieve them. If you’re ready to start your transformational hair journey, give us a call. It starts with a conversation, and ends with you feeling amazing. What are you waiting for? I first added purple into my hair about four years ago and learned pretty quickly that having vivid colored hair meant people were going to talk to me about my hair a LOT. Luckily, I am hair-obsessed and love talking to anyone about hair and haircolor. People ask me everything from how long the color lasts, to how I keep it looking healthy, to whether or not I had to lighten it first (spoiler alert: YES). I have always LOVED having multi-colored hair, but it’s not just a commitment for me in terms of maintenance, but it’s a HUGE commitment for the stylist as well. Achieving beautiful, multi-colored hair while maintaining the integrity of the hair is NOT an easy process, and it’s not a process that every stylist has the skillset to accomplish. When Candice agreed to turn me into a magical unicorn, I was obviously over-the-moon, and we decided to document the entire process for you all. Hopefully this will help you understand the extensive process hair color can be when overall altering your color. Technically, vivid colors could be considered a color correction due to the multi-level processes involved. As a salon that specializes in transformational colors and color corrections, our guests often come to us in need of a revamp that may take multiple processes. The end goal is not typically unicorn hair like mine was, but if you consider the goal to be significantly altering the hair color, then you start to see the similarities. I hope you enjoy this peek into an extensive color transformation. Side note: Often a corrective color will need to be broken up into multiple appointments/days. Because Candice is a champ, we opted for one very longgggg day. Take a look. My hair was a level 3 (really dark brown/almost black) at the root, with purple vivids throughout the mid to ends. We applied a direct dye lifter to remove the purple from my hair. First wash & dry. Candice applied lightener to remove the remaining tint from the direct dye, along with bringing my hair to a lighter level to achieve brighter vivids. After washing out the lightener, we toned my hair using a purple shampoo. Second wash & dry. Painting on a root color that would be blended into the vivids. Applying the vivids! Candice used five different pravana colors (a combination of locked in, neon, and pastel) to create a “Northern Lights” inspired colormelt. Final wash, dry, and style! THE AFTER: UNICORN NORTHERN LIGHTS MAGIC! Got any Fall/Winter color goals or ideas? Sound off in the comments! If you’re interested in booking an HD color appointment with us, click here. The first step to achieving your goals is always, well, setting said goals. The destination must be established in order to reach it. We find that setting and reaching goals can be just like driving. (If you made a face and said “huh?” bare with us.) In driving, you can set out along a path, but often there are curves along the way, and if you don’t adjust you’ll end up crashing far off course. Goals can be just the same. You set your goal, you start working towards it, anddd all of a sudden what you’ve been working towards is way over there in the distance and you’re not sure what happened. It’s challenging sometimes when we’re charging ahead to remember to check back in with our initial goals and evaluate whether we’re any closer to reaching them. You can drive 30 miles from point A to point C, but if your goal was to reach point B then you might need to check back in to your initial path to see where you made a wrong turn. The cool thing about #hairgoals is that your stylist is like your GPS system—they are there to keep you from making a wrong turn. If you tell your stylist your goal is to grow out your hair (*cough* most of us here at Garnish), but then you get really excited about a new cute cut (*guilty*) your stylist is there to remind you that reaching your goal of achieving long hair again is going to be WORTH IT. It’s the same if your goal is to be platinum blonde, and by your third lightening session you’re ready to give up—your stylist will talk you through the directions once more, and ensure the path you’ve chosen to reach your goals is still the smoothest path for you. Reaching goals can be a long process and can require a lot of work, but that just makes reaching those goals that much more satisfying. Sometimes, we start out along a certain path and realize halfway through that maybe we were following the directions, but we just don’t like where we ended up. That’s okay, too. Making adjustments is part of goal setting and is often vital to reaching goals. Maybe in January, you did want to be platinum blonde, but somewhere along the way you fell in love with the caramel color your hair is currently. AWESOME. Readjust. Write a new goal. Even if that goal is: “Maintain my current AMAZE color that I’m in love with.” Maintenance can be a goal of its own. If you’re not already familiar with our #hairgoals form that we introduced in January, we invite you to read all about it below and then fill it out for yourself. And if you DID fill out a #hairgoals form in January or anytime since, we’re almost halfway through the year (*gasp* I know), so it’s the perfect time for you to reevaluate your goals and maybe make some new ones. You may have heard the saying, “Invest in your hair—it’s the accessory you wear every day.” And you’ve probably experienced that powerful feeling of “I can take on the world” when you’re having that better than ever kickass hair day. So what happens if it’s a crucial part of your daily look and can change your entire attitude? It only makes sense to invest in making your #hairgoals a reality. Here at Garnish we specialize in transformations. Transformations, to us, encompass all the wonderful things! It can be as simple as the perfect haircut to enhance your face shape and revamp your style, or complete makeovers involving coloring, extensions, and more. Have you ever seen a celeb on t.v. or in a magazine and thought, “Oh my gawd I love her hair”? What about the person you passed in the grocery store and thought, “Her hair looks amazing”? Then you already have #hairgoals whether you knew it or not. Our focus in 2017 is to help you discover your #hairgoals, and then set you on the path to achieving said hair dreams. To facilitate this focus, the Garnish team developed a cool new tool to break it down and make it super easy to reflect on and detail your goals. You will be able to download this fun and fast #hairgoals form and bring it in to share with your stylist or you can ask the front desk team for a copy when you arrive for your visit. #hairgoals can encompass cut, color, length, style, and texture. Some of our most common transformational services include extensions, which come in a variety of methods to address varying hair needs—color services, including color corrections, balayage, blonding, and creative coloring—and treatments, such as our GK Keratin Smoothing Treatments, American Wave, and relaxers. Our artists also focus on providing you with the knowledge and ability to care for your hair at home (a vital part of making #hairgoals a reality), along with empowering you to be able to recreate the style component of your #hairgoals yourself. This includes prescribing the products that will best address your hair needs, along with educating you on the steps to take to achieve your ideal style. January is always a month of reflecting on what you hope to achieve in the next year. Make your #hairgoals a priority and allow Garnish to help you become the best version of you in 2017. Download Your #hairgoals sheet today by click here! Melanie experienced the TOTAL #transformationálagarnish with Andrayah. First, they transitioned her skinny highlights into a soft balayage. Next, they utilized the GK Keratin Treatment to smooth the frizz Melanie experiences with her hair. Finally, they added Klix extensions for a whole new look! Ready for your own transformation? Contact us today and schedule a Transformation Consultation. Don’t forget to fill out your #hairgoals sheet! Transformation Tuesdays feat. Emily G.
Can you feel it? Spring is in the Hair! When we think of Spring Cleaning we often think about total overhauls. From emptying your closets to reorganizing the office; they all encompass a lot of big changes. Although adding your hair to your Spring Cleaning list might seem strange, we think this is the perfect time for a change. After all, Spring is the season of growth and renewal. What does Spring Cleaning mean for your hair? Spring Cleaning for your hair can mean something a little different for everyone. 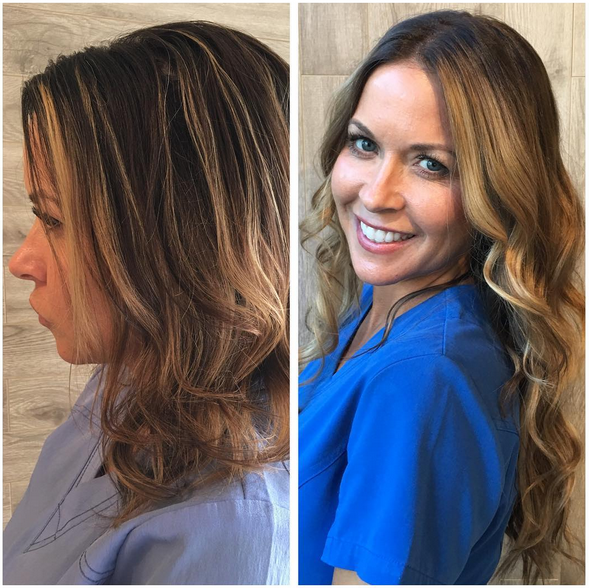 You might be looking to achieve a beautiful sun-kissed balayage, or perhaps you’re in need of a deep conditioning treatment and/or glaze to restore the moisture and shine to your post-winter hair. Maybe you’re already dreading the upcoming humidity and the frizz that comes with it, and you’re ready for your first (or next) Keratin treatment. The first step is to figure out what your goals are. (#hairgoals form, anyone?) Once you’ve established what you hope to achieve, you can evaluate where your hair is currently. If you’re not entirely sure what that means or how that relates to your hair goals, you can always talk to your stylist. For example, if you are currently sporting a fabulous winter weather red, and are hoping to go blonde for Spring, you may be in need of a hair plan-a series of appointments to achieve your goal hair. Whether you went a little darker for the winter or you just want to be an even paler blonde, blonde is ALWAYS a journey and it may take more than one session to achieve the color you are looking for. Highlights and balayage are also more extensive services so the appointments tend to take a bit more time. Plan to call for your appointment a few weeks before you’re ready for the service. Expect that depending on your end goal, it may take more than one blonding service to achieve your ultimate #hairgoals. Prepare for #bombshell status by summertime. Hair that already tends toward the drier side can be even more impacted by the winter weather than other hair textures. You may feel like by the time Spring rolls around your ends are rough and you don’t even remember what silky even means in relation to your hair. Another solution to hair in need of silkening or shine is to get a gloss treatment. Glosses can be used just for shine or as a toner to tint your hair. Ask your stylist for which type of gloss would be best suited for you and your hair goals. Maybe you’re ready for the big chop. Maybe you need a complete color overhaul. Perhaps you’re dying for a little more length or fullness and your hair quite literally can’t grow fast enough. Spring is the perfect time for you to start a NEW hair journey. The first step for making the big moves happen is always to come talk to your stylist and work out a plan together. It always feels better to talk it out with the person who will be enacting the change beforehand, and our stylists love to help you achieve your #hairgoals. Extensions can be a fabulous and fun way to change up your look or even to change your color without the chemical processing involved in hair color. Candice can talk you through all of the options and what will best meet your hair needs and goals. If you’re curious as to what is possible with extensions, check out our transformation gallery here. We often dread cleaning and organizing, but always feel amazing afterwards. Spring is calling for you to feel amazing about your hair, too. Schedule your consult, set up your hair plan, and prepare yourself to feel (even more) FABULOUS by the time you’re poolside in the sunshine.